In November 2018, I had the absolute pleasure and delight of meeting Professor Sir Michael Marmot, who graciously accepted an invitation from the ACI’s Chronic Care Network and Health Consumers NSW to officially launch the ACI’s Social Determinant’s of Health web resource. Professor of Epidemiology at University College London, Director of the UCL Institute of Health Equity, and immediate past President of the World Medical Association, Sir Michael provided an inspiring and energising insight into the importance of addressing health inequities and the social determinants of health, not as peripheral issues, but as the core issue. Sir Michael’s speech echoed what so many of us who work at the coalface of chronic disease management know only too well: the main problems in managing chronic disease are not exclusively clinical. The overwhelming issues that come from living in poverty, insecure housing, unemployment, caring full time, food insecurity, poor healthy literacy, racism and discrimination and generational trauma (to cover off just some) are key barriers to wellbeing and good health management. The ACI’s Social Determinants of Health web resource directs people looking for ideas to inform practice. It seeks to build on and gather examples of good work from across NSW and Australia that have come from the significant investment in social policy areas over many years, as well as showcase inter-sectoral collaboration and innovation. Implementation of strategies outlined in social policy frameworks support and sustain integrated health service delivery in areas such as Aboriginal health, women’s health, family violence, early childhood, multicultural health, drug and alcohol, and housing for health. However, despite the good intent in many of these policy frameworks, the landscape for health service delivery has become more complex and multi-faceted with many vulnerable and marginalised people falling through the gaps. What has changed? What do we need to do better? The abounding refrain from the network of clinicians engaged in the chronic care space, as well as health consumers, is that we need to work more holistically and consider the social determinants of health as fundamental components of the health profile. This will allow us to be truly patient centred, compassionate, enabling and outcome focused. As a health collective, wherever we work, whatever our role is, we need to do better at understanding all the issues facing individuals and their families in managing their health to be able to focus on their needs. But it’s unrealistic to think we can do this on our own. Just as our lives are made up of networks and relationships, so too is the health care domain. We need to collaborate more, share and explore ways to see how we might better meet people’s needs in and out of hospital settings. We need to work with all our health care partners, both formal and informal, to provide quality care across the lifespan and improve the health of our population. It is our responsibility to do better. I encourage you to take a look at the site, send in examples of good practice, share the information and have a chat to your colleagues about the changes you can generate to make a difference in the lives of people you care for. We have known for many decades that the conditions that people live in – both in terms of their physical and social environments as well as their individual economic status – have a major impact on health. There is a long-standing view that social factors, including lifestyle opportunities and choices, risks in the workplace, stress and its impact on mental and physical health, are the main determinants of health. Social determinants affect the incidence and prevalence of various health conditions, both acute and chronic. This has supported the view that health promotion and prevention, social and community development, and the promotion of equity may actually have a bigger role to play in health than healthcare. While there is ample evidence to support these claims, various factors are now putting back a focus on the healthcare system and its impact on health. More people live in older age and spend many years living with one or multiple chronic conditions. The support provided through clinical practices influences various aspects of quality of life. There is increasing recognition that life expectancy and disease prevalence – while good indicators of the impact of social determinants on health – are actually not the right metrics to judge the impact of healthcare. Social functioning and quality of life measures can be impacted by care that is too little, too much, inappropriate or futile. In contrast, patient-centred care that builds on the right interaction between curative and supportive approaches can help people live with chronic conditions, maintain their autonomy and control the symptoms related to their conditions. Healthcare, in fact, may have a bigger role to play in health than what was considered. All of this has led different health systems’ attention towards the impact of social determinants on care. The factors that relate to the economic and social status of people can not only influence health and the emergence of acute and chronic diseases, they can also determine access to health care and the reception and effectiveness of care. Social determinants are not only of interest to public health and preventive medicine – they are one of the key drivers of effective care. These determinants need to be addressed in the planning and delivery of healthcare, and health professionals will need to systematically assess a person’s living condition and social support. This is a challenge that requires thinking differently about the various components of healthcare, including gathering information from patients, assessing the information to make a diagnosis and exploring appropriate treatment options in accordance with a person’s circumstances. This has implications on the appropriate referral to, and mobilisation of, various resources in communities. Healthcare increasingly becomes community care. There is a growing focus on building clinicians’ capacity to consider these factors to provide better care. The next step will be to think about different ways to deliver care. The ACI’s social determinants program addresses these issues. The social determinants of health are social determinants of care. The ICU Exit Block Project, which aims to reduce ICU exit block and optimise capacity, is expanding to include an additional 10 sites across NSW. The project was initially piloted with four sites in NSW. Excitingly, this marks the start of a partnership between the ACI and NSW Ministry of Health Whole of Health Teams, who will work together to support participating sites. The 10 new sites will receive implementation packages, including capability training and on-site support. The project kick-off for the initial sites starts this month, with teams undertaking capability training. The pilot project will continue in the early stages of 2019, with sites implementing identified solutions which are specific to ICU and to whole of hospital strategies. Findings and successful solutions identified as part of this redesign pilot project have informed the development of the ACI Guiding Principles to Optimise Intensive Care Capacity document, which is open for public consultation until 1 March. Sites will undertake an important mentoring role throughout the statewide rollout. The project will expand at a later date, so additional sites with an interest will have an opportunity to participate. 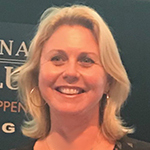 The ACI would like to introduce the NSW Junior Medial Officer Innovations and Quality (JMO-IQ) Committee, which will work to help bridge the gap between the frontline of clinical care and the initiatives of the ACI. JMOs are well placed to play a unique role in systems improvement. At the coalface of the healthcare industry, JMOs are able to identify and act on areas for improvement that more experienced doctors may take for granted. JMOs are also increasingly interested in quality and safety, and this is reflected in the emergence of several JMO initiated quality and safety committees across the state. The committees are successful, but are working in silos without any formal way of connecting with each other or other organisations such as the ACI to discuss shared priorities. The JMO-IQ Committee will work to improve the effectiveness of these LHD groups by facilitating lines of communication, sharing information and providing education and advice regarding systems improvement work. The JMO-IQ Committee will work to educate and inspire JMOs to be involved in solutions, innovations and initiatives that aim to improve health for patients and employees within NSW. Patient Reported Measures (PRMs) are surveys that measure a person’s perception of their health, healthcare experiences and the impact of conditions and treatment on their health and quality of life. Patient and clinical engagement is critical to make the best use of PRMs. The PRMs statewide information technology (IT) solution supports the aim to incorporate PRMs into everyday clinical practice by enabling patients and multidisciplinary care teams across NSW to capture, review and act on PRMs in a timely and holistic manner. The IT solution, known as ‘Health Outcomes and Patient Experience’ (HOPE), is expected to go-live in July 2019. The PRMs team is currently developing the training and education resources required to ensure effective implementation of HOPE in LHDs, SHNs and general practices, with a plan to work across care settings with teams to ensure readiness for implementation. The PRMs team is currently supporting LHDs and SHNs with the recruitment of recently funded PRM project officer positions. Please contact the ACI PRMs team via ACI-PRM@health.nsw.gov.au if you require support with any aspect of the recruitment process. Following successful appointments, the local project officers will be provided with extensive education and training to enable them to act as local ‘super-users’ and change agents, embedding PRMs as part of business as usual. They will work closely with the ACI PRM team and eHealth to implement the HOPE IT solution and support the ongoing integration of PRMs across their district or network. A series of informative video resources about PRMs is now available. These videos and will be a key component of a comprehensive PRMs toolkit. The toolkit is currently being developed to support local implementation of PRMs and integration of PRMs into clinical practice. The next edition of the PRM quarterly newsletter will be circulated in March 2019. Subscribe to the newsletter. Clara Chow from Western Sydney and Sarah Dennis from South Western Sydney know that that patients with cardiovascular disease often spend more time in waiting rooms than with their care provider. What they want to explore is whether these windows of time could be an opportunity to provide digital educational interventions, and whether this could lead to increased patient awareness. These research projects, and six others, were recently awarded funding from the ACI as part of its Research Grants scheme. With 102 innovative proposals received, the endorsement process was highly competitive. Raj Verma, Executive Director of System Transformation Evaluation and Patient Experience, commented that ‘it demonstrates the appetite in the system for innovation using robust research methods to ensure the evidence exists before being spread and scaled’. Supporting type 2 diabetes self-management in the context of multi-morbidity: a pilot project (Hassan Hosseinzadeh). The next round of ACI Research Grants will open in March. For information, see Research page on the ACI website. The ACI Cardiac and Respiratory Networks hosted a statewide LBVC workshop on Monday 3 December 2018, bringing together 91 clinicians, program leads and academics to talk about improving care for people with chronic heart failure (CHF) and chronic obstructive pulmonary disease (COPD). Experts in their fields shared the latest thinking on smoking cessation, hypertension, spirometry and echocardiography. Presentations by LHDs showcased the great work being undertaken to implement local solutions, leading to improvements in current practice. the creation of a range of new clinics, including chronic conditions, breathlessness, rapid review for COPD and early follow-up for people with CHF. The day wrapped up with an excellent expert panel discussion examining the complexities of managing patients with a dual diagnosis of CHF and COPD. Following the success of the workshop, the ACI plans to host a series of LBVC clinical initiative workshops in 2019 for bronchiolitis (8 March), diabetes mellitus (11 April), CHF and COPD (12 April). These workshops will focus on continuing to share LHD LBVC activities, developing statewide solutions and capability building. See the LBVC Events page for more details. Two statewide Leading Better Value Care (LBVC) hip fracture care workshops were held on the 4 and 5 December 2018. These were the first in a series of planned events to provide opportunities for those involved in improving care for patients with hip fracture to share success stories, learn strategies for improvement and build a statewide network to work together to achieve change. This work is part of the LBVC program, where the ACI is supporting hospitals in their existing efforts to meet the Australian Commission on Safety and Quality in Health Care (ACSQHC) Hip Fracture Care Clinical Care Standard. Over the two days, more than 170 clinicians, program leads and clinical experts shared, discussed and planned improvements in hip fracture care for their patients and staff. On the following day, clinical teams applied the principles of project and change management to begin planning next steps in their hip fracture care improvement. The ACI hip fracture project team is available to support teams with further planning around their improvements and more events are planned for 2019 based on feedback from the December workshops. ITIM held the annual Trauma Leaders Forum in November 2018, welcoming trauma clinicians from across NSW to discuss changes and innovations in the trauma system. Louise Alderson from NSW Ambulance updated attendees on the changes to the paramedics’ T1 (Trauma) Protocol. The changes will allow for paediatric patients to be transferred directly to paediatric trauma centres, and for paramedics to travel further distances from the scene of the accident to reach a trauma centre. These changes aim to reduce the need for multiple inter-hospital transfers, and are expected to have a positive impact on outcomes such as reducing the time to specialist reviews and urgent surgery. Bernard Carlon, Andrew Graham and Susan Fletcher from NSW Transport presented on the Centre for Road Safety Data Linkage Project, which combines police and hospital records. The project highlighted reporting data discrepancies that affect our understanding of transport-related injuries. For example, it was thought that there were 340 bicycle-related incidents per year, but when combined with hospital records, the actual number was closer to 1,900. The trauma leaders were keen to explore opportunities for collaboration in this space. Professor Kate Curtis and Belinda Kennedy presented the results of the Paediatric Trauma Project. This research project highlighted the need for early comprehensive patient assessments, involvement of clinicians with skills in advanced airway management, and more cross-collaboration between transport providers. Kate King also presented on the progress of a multi-centred research project exploring the epidemiology of multiple organ failure in post-injury patients. This study is led by Professor Zsolt Balogh, the Director of Trauma Services for John Hunter Hospital. The ACI has published evaluation results for the Music & Memory pilot in NSW Health showing a significant positive impact for NSW Health staff and patients. Music & Memory is an accredited program from the United States that uses personalised playlists to support people experiencing dementia, depression, isolation and pain. The ACI was awarded a NSW Health in the Arts start-up grant in November 2015, which funded a pilot at two sites. The ACI then funded the roll-out program at another 19 sites. A mixed-methods approach was used to evaluate the feasibility of the intervention in 21 different acute, sub-acute and primary healthcare settings in NSW between June 2016 and June 2017. The evaluation demonstrated that an important facilitator to implementing the Music & Memory intervention was the high level of engagement and commitment from staff. It also showed that the program had a significant impact on staff, leading to greater happiness and satisfaction at work. Health staff reported remarkable changes in patients’ perceptions of their experience of treatment and care, after providing the personalised music playlist, an iPod and headphones. The results can considered as part of an ongoing commitment to enhancing the human experience of healthcare with demonstrated positive outcomes for patients, families and staff. Congratulations to those NSW Health employees recognised in the 2018 Australia Day honours list. We would like to acknowledge the following recipients who have made significant contributions to the ACI. Dr Milton Cohen has been recognised for significant service to medical education in the field of pain management. 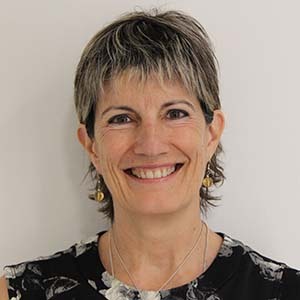 Dr Cohen has been a member of the NSW Pain Network since 2012. He is currently on the ACI’s working group for opioid safety strategy. Dr Andrew Brooks has been recognised for significant service to medicine, and to medical education, in the fields of urology and oncology. Dr Brooks is the current Medical Chair of ACI’s Urology Network and has been a member of the Network since about 2011. 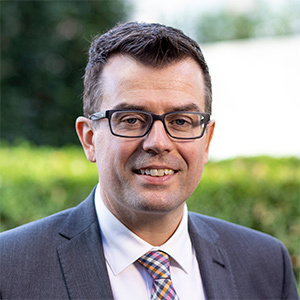 He has been instrumental in establishing the NSW Prostate Clinical Cancer Registry and Prostate Cancer Outcomes Registry Australian and New Zealand, Ambulatory Model of Care for Flexible Cystoscopy, Management of Kidney Stone Disease and Patient factsheet on Prostate Cancer Diagnosis. Professor Paul Steven Haber has been recognised for significant service to medical education and research, particularly in the field of addiction medicine. 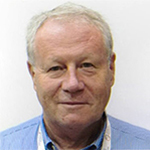 Professor Haber was a foundation member of the ACI Drug and Alcohol Network and significantly contributed to the successful establishment of this Clinical Network. In November 2018, the Diabetes and Endocrine Network farewelled Professor Stephen Twigg as the Network Co-Chair. Stephen has co-chaired the network for six years, demonstrating outstanding dedication and commitment to improving the care and quality of life for people living with diabetes and other endocrine conditions in NSW. Stephen also represented the Network through significant involvement in the NSW Diabetes Taskforce that was responsible for overseeing a statewide approach to diabetes management as part of LBVC. development and launch of a capability building program to support junior medical officers and nursing staff care for people with diabetes in hospital, including a clinical decision-support app, Thinksulin. Since its launch in June 2018, Thinksulin has over 2,800 users and was nominated for a NSW Health Award. As Senior Staff Endocrinologist at Royal Prince Alfred Hospital in Sydney LHD, the network looks forward to Stephen’s continued expertise and contributions as an ongoing and active member. 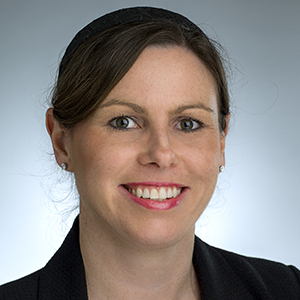 Ms Elizabeth Obersteller, Murrumbidgee LHD, Nursing Co-Chair. Under this leadership in 2019, the Diabetes and Endocrine Network will continue to focus on statewide LBVC priority areas and other priority initiatives that improve the outcomes and experience of people living with diabetes and other endocrine conditions in NSW. 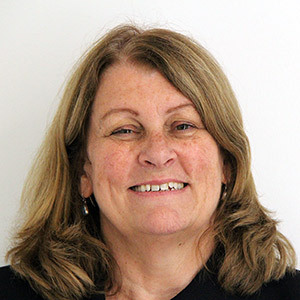 The ACI welcomes Sue Rogers as the Network Manager for the Pain Management Network. 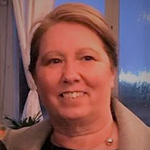 The ACI welcomes back Annie Hutton in a new role as Renal Network Manager. 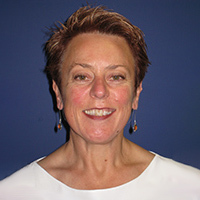 The ACI welcomes back Vanessa Evans in a new role as the Transition Care Network Manager.